I am sure many of you have been hearing over the past year about China’s newly-created, $200 billion National investment fund; money that they’ve split off from their ballooning current account surplus. I am guessing that you’ve also heard how in the last few months the fund has been making waves in the international community because of the anxiety and concern the Chinese Sovereign Wealth Fund (SWF) causes politically as it tries to invest in other nation’s assets. Its an important issue. SWFs are powerful players on the global financial scene, and they do pose serious influence over systemic risk because of the concentration and liquidity of the capital movement. And for nations like the US, where national security is ever paramount, the clash between financial and political motives in Foreign Direct Investments is something to be watched and monitored closely. I’ve found a great article in the Jan/Feb 2008 issue of Foreign Affairs Magazine entitled “Public Footprints in Private Markets”, written by Robert M. Kimmitt, the Deputy Secretary of the US Department of Treasury. The essay succinctly dispels SWF misconceptions floating around today’s media, it describes the real issues at stake, and outlines recommendations for policy-makers moving forward of how best to engage SWFs. I highly recommend you have a read if you want to understand in a little more depth, what are SWFs and how they are changing our world. This issue of Foreign Affairs Magazine was entitled “Changing China” and has about a half-dozen essays written by China & Foreign Policy experts on the issues facing China and the world today. A must read for anyone interested in China-Foreign relations. There are few other jazz groups I am as excited about as The Bad Plus. What can I say about them? I am oftentimes left speechless. Perhaps the most creative band out there, they are redefining lyrical and melodic expression and cohesiveness while throwing you in a merry-go-round of tempo and rhythmic exercises. The Bad Plus is most definitely the tightest band out there. I have never ever seen a group as syncopated and in-tune with each other as these three. If you don’t believe me, have a listen to my favourite song of their’s, ‘Physical Cities’. This group is a composer’s dream. 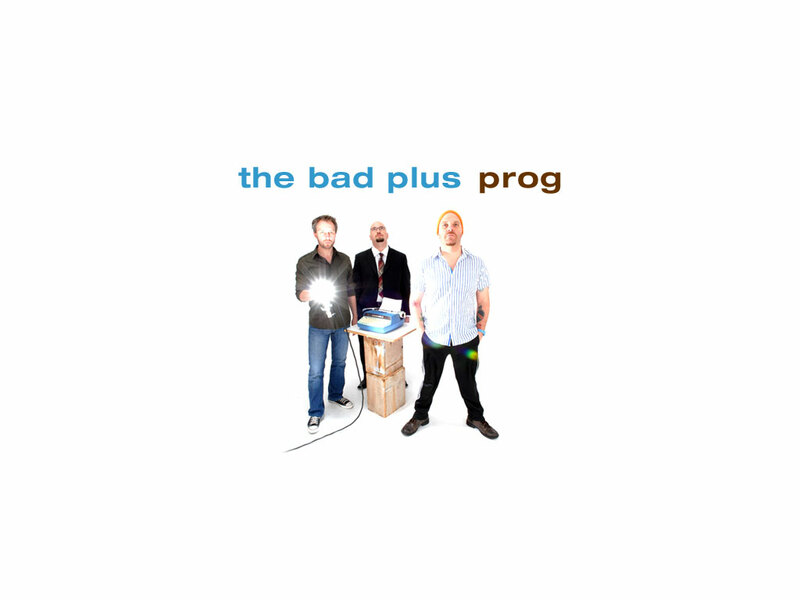 The trio, made up of Reid Anderson on bass, Ethan Iverson on piano and David King on drums are all well established and highly individualized composers, each contributing their own works to the large body of work that is The Bad Plus. Each song is uniquely different, painting completely different landscapes, or exploring distinctly different worlds of contemporary jazz. The Bad Plus built their name and reputation by taking pop standards from rock, funk and other genres and reinterpreting them in the Bad Plus language. I find this strategy is a great introduction for newbies into the contemporary jazz scene, and TBP does it very well. ‘Prog’ has a good sampling of pop standards, but you’ll hear a larger component of the group’s original works. I find it a really good balance of education and exploration. Educating new listeners what is the Bad Plus sound through pop-standard extrapolation, and exploring their own creative prowess with their original compositions. The balance between the piano, bass and drummer are brilliantly matched. There is not one track on this album where any one player is forced to be subdued. They each bring their unique flavour, but the combination of the three personas is what makes The Bad Plus so memorable. I first saw The Bad Plus live in concert in 04 or 05, when they opened for Joshua Redman at the Montreal International Jazz Festival. Back then I was struck mostly by the obtuseness of their effort. It was nothing like I’d ever heard before. Especially David King on the drums, who, during that performance used the skeleton of an umbrella, coat hangers, and other found objects to augment his drum kit. It was the most bizarre spectacle, but they managed to get a foothold in my memory. And that is something to be said, since they opened for Josh Redman during his Momentum album tour; arguably the best concert I’ve ever seen. I next saw The Bad Plus live in May of 07, when they opened for Roy Hargrove in Toronto during his ‘Nothing Serious’ tour. The Bad Plus stole the show. For me they were stratas above Roy Hargrove that night. What impressed me most again was their tightness, their precision, their decisiveness. I was absolutely awe-struck witnessing ‘Physical Cities’ live. I may have gone long with this review, but hopefully it will convey to you how extremely impressed I am with The Bad Plus. Check out their website here and hopefully you’ll get hooked on their music as I have. Given, they are not exactly new to the scene; they’ve been around since 2001, but they have a long and bright road ahead of them. I for one will be with them every step of the way, anxiously expectant of the wondrous twists and turns that await.